Thinning hair can affect the way you look. Some may interpret it as a sign of a health problem while others may consider it a lack of proper nutrition. In most cases, however, thinning hair can be solved by improving the blood circulation in the scalp area which you can achieve by giving it a good massage. And with that, allow us to share with you the top products that impressed us in our search for the best scalp massager for hair growth. When you are massaging your scalp to encourage hair growth, you need to be as gentle as possible. Scrubbing too hard can hurt your scalp and cause more problems for your hair. 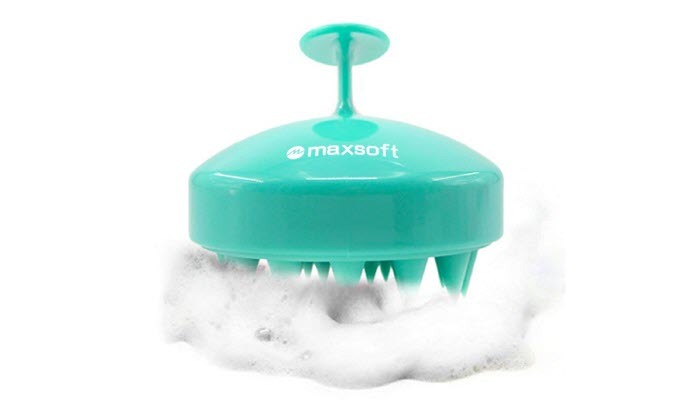 Good thing that this MAXSOFT Hair Scalp Massager Shampoo Brush has thick silicone bristles that are soft and gentle to use. 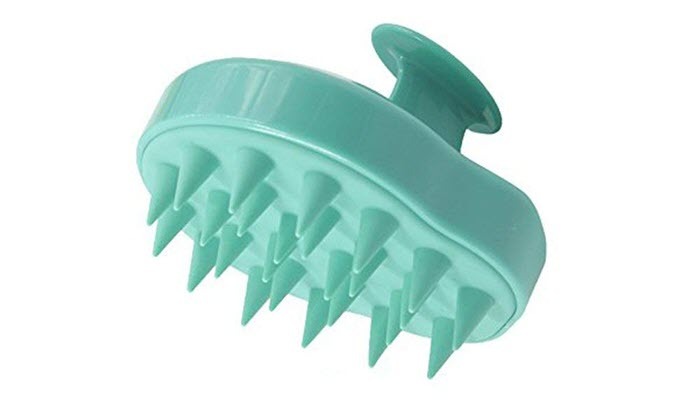 The bristles are able to stimulate blood flow without scratching your scalp or irritating the area. It’s so gentle that you can actually use it every day. The brush has a well-thought design. It might look simple but it’s actually convenient to use in the shower. It has this grip handle that fits your hand perfectly. The product is pretty straightforward so don’t expect a lot of extra features. It’s used manually which means that you won’t have to worry about batteries or charging the unit. You only need to use it with your favorite shampoo, preferably a shampoo formulated for thinning hair. Massage your scalp with the brush and remove any dirt, sweat, and product build-up there. If you want a scalp massager you can use even when you’re not in the shower, then we highly suggest FReatech [Wet & Dry] Scalp Massage Brush. It’s so versatile that anyone in the family can use it- even pets! Of course, we’re not encouraging you to share your brush with your pets. This brush is affordable so you might as well get your pet a brush of his own. Going back to the product, this scalp massager has an uneven design to make sure that it can massage the scalp well. Additionally, it can also exfoliate the scalp. So, if you have a really dry scalp or dandruff, you should totally consider this one. MARNUR Scalp Massager is an interesting product. 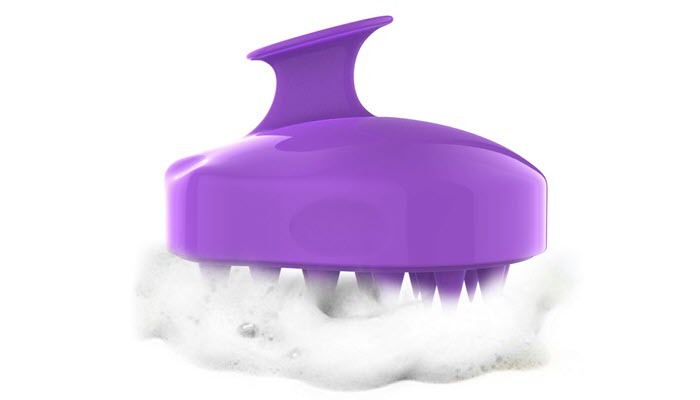 Like the other products on this list, it has an ergonomic design and gentle bristles. Now, here’s where it’s different. Unlike the previous products, this one is a battery operated massager. It comes with 2 AA batteries which power it. It has a vibration function that can stimulate the scalp and encourage hair growth. There’s no need to worry about using the massager while you’re shampooing. It’s waterproof so you can use it to safely remove dandruff and clean your scalp. Apart from that, you can also use this product to massage your arms, shoulders, hands, head, and lower back. It comes with interchangeable attachments you can use to target specific areas of your body. 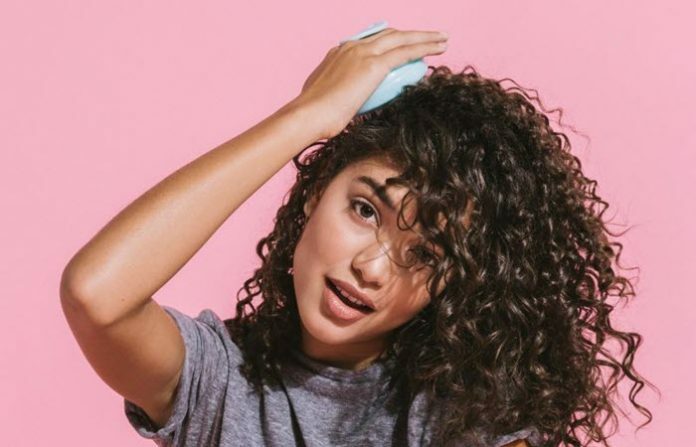 For our budget pick, we chose something that’s simple to use and Scalp Care Shampoo Brush by See You Always is exactly that. It features soft thick silicone bristles you can use on any hair type- dry or wet. The bristles are so gentle that kids and older people won’t have a hard time using it. To use this scalp massager, you simply need to put the right amount of shampoo on your wet hair. Circle the product around your hair until you achieve a lot of froth. After that, you can brush your hair slowly for about 5 to 6 minutes. If you have long hair, it’s best to do small circular movements. This is to ensure that you don’t end up with tangled hair. Also, avoid putting a lot of pressure. You’d want to be as gentle as possible in massaging your scalp. Make sure to spend more time in areas where you have flaking and dryness, too. Scalp massagers designed with harsh plastic bristles can scrape your scalp, leaving it at risk of irritation and inflammation. Those two conditions can easily affect the rate at which your hair grows. Not to mention, they are quite uncomfortable to use as well. A good scalp massager should fit well into your palm. This is to make sure that it won’t slip or fall while you’re using it on your scalp. 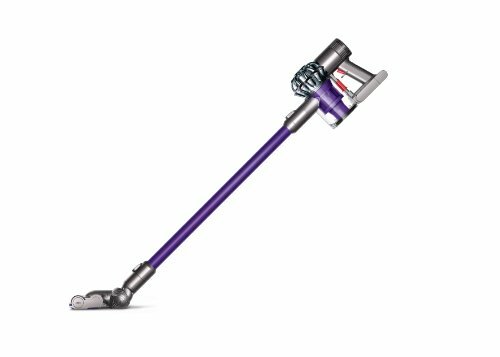 Find one with an ergonomic design and a handle for a better grip. After reading the reviews above, you’ve probably learned that there are two types of scalp massagers: manual and battery operated. A manual scalp massager is handy in that you can use it on wet or dry hair. You can use it in the shower while you’re cleaning your scalp with a good shampoo. Now, if you want convenience, choose a battery operated one. Since most models of such type have a vibrating option, you won’t have to scrub your scalp just to get the benefits. Simply turn it on and use it to massage your hair. The downside of that, of course, is the need to replace the batteries. Hair Scalp Massager Shampoo Brush, MAXSOFT Scalp Care Brush is our best scalp massager for hair growth. 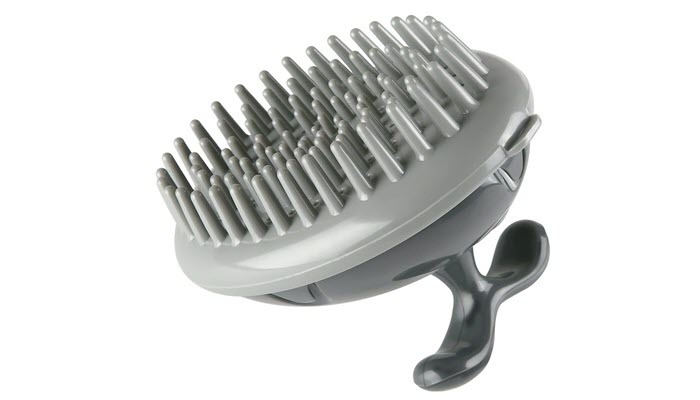 This product can dramatically improve your hair and its growth rate with its soft bristles and ergonomic design. It’s gentle and safe to use every day. Take note that even though a good massage helps with hair growth, you shouldn’t depend solely on it to address your hair problem. You should also be careful about the products you apply to your hair as well as the tools you use in styling it. Don’t forget to apply the right hair serum before going out or styling your hair. Applying a good hair mask once in a while can also help provide the nourishment your hair needs to grow and stay healthy.